China will shut down its outdated and high costs aluminium plants in two to three years, a part of a program to analyze the capacity growth of one of the most oversupplied commodities in the country. The phase out of these plants will greatly help the metal price in the country, its top producer and consumer. It will also help to recover from the sharp drop of about 30 percent in the last four years. Vice-president in charge of the aluminium business at China Power Investment Corp (CPI), the second biggest producer of aluminium in the country, said that Chinese demand and supply would be mostly in balance in five years or longer. He added, while attending an industry conference in Hong Kong yesterday, that China was not about to become a big importer of primary aluminium. He estimated the country’s net primary aluminium capacity will be about 40 million tonnes in two to three years, which indicated a growth rate less than 10% from 31 million tonnes of last year. This would be considerably below the annual rise of around 20% seen between 2003 and 2012. 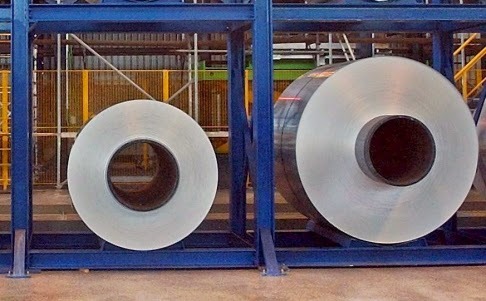 Last week, as a part of the move aimed at closing inefficient, obsolete and polluting plants, government vowed that it would reduce at least 420,000 tonnes of outdated aluminium capacity this year. Senior analyst of China Minmetals Non-Ferrous Metals, Wang Feihong pointed out during the conference that the construction of new plant will also slow because the heavily indebted local government cut financial aid to outdated, less efficient aluminium plants. Pollution control are in picking up pace and Mainland banks also curtail loans. He added that new primary aluminium plant of around 4 million tonnes capacity would be build this year.